We have been hearing about Tizen since a long time and the OS is still in developmental stage. The developers are working on the stability concerns and it will be available by next year. It is an open source flexible operating system (like Android) that will serve various smart devices such as mobile phones, televisions and a range of wearable devices, game consoles and even cars. Backed by Samsung, Intel and some other major players, Tizen is a Linux based platform that offers the power of native application development and full HTML5 support. So, the Tizen based devices will run all web based applications with good integration of videos and graphical content. Samsung recently launched Galaxy Z that is backed by Tizen. 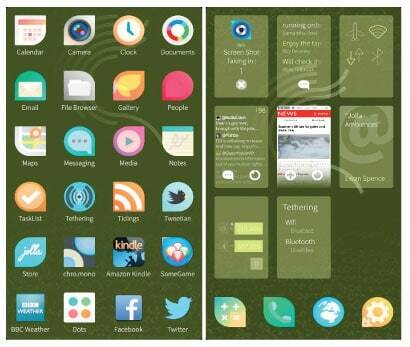 The user interface of Tizen is similar to Android and Firefox OS with similar home screens for widgets, round icons, app drawer and notification bars. Multi user profiles and high end 3D game support is also a part of Tizen eco system. The OS is open for members who wish to participate in the development process to make it a stable uniform operating system in the era of Internet of Things, where all devices are interconnected. This will be a big step for a manufacturer like Samsung who has a solid hardware base but is dependent on Google for the software. Tizen can free Samsung from Google’s licensing process and if established, it will result in a fortune that will be generated by the revenue of apps and other media stuff. 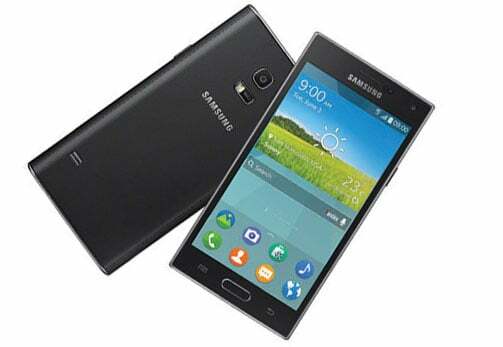 Availability: The Galaxy Z is introduced with Tizen but yet not available in the market. Firefox also joins the race of the smartphones with its OS. They have developed a Web platform, which is capable of displaying and launching other Web apps. It’s an open source mobile operating system based on Linux, open web standards and Mozilla’s Gecko technology that provides a reinvention of what mobile platforms can be. The entire user interface is a Web app which is capable of displaying and launching other Web apps. Firefox uses standard web technologies, albeit with enhanced access to the mobile device’s hardware and services. 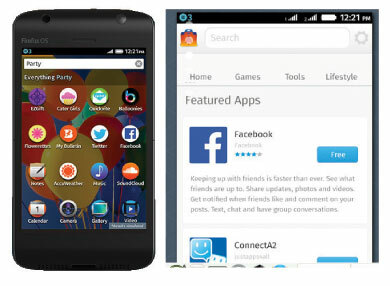 From a product perspective, Firefox OS is Mozilla’s branding and support services on top of Boot to Gecko (B2G – the operating system product’s engineering codename). 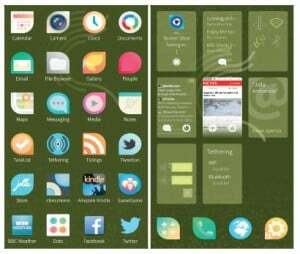 The user interface of Firefox OS is called Gaia, and includes the default apps and system functions. Although it is light weight and easy to operate, it doesn’t offer the back and option buttons. The home button helps you to operate the phone easily, yet you are going to miss the back button. Firefox OS understands the user behavior, analyzes the search patterns and delivers desired results instantly. You can search for popular apps, or local content using a bar that shows “I’m thinking of…”, wherein you can type the desired subject. Firefox includes ‘Do Not Track’ feature that enables the user to block websites and apps that track user’s behavior. In contrast to Android, here you don’t require an email ID to operate or access most of the features. The user can directly access all the apps and other features, such as call, messaging, contacts etc. which are always present on the screen. You get instant access to the Marketplace and install apps directly to your phone. Popular games and apps are missing with Firefox Marketplace, but WhatsApp can be connected via third party app called ConnectA2. It supports all major social networking apps like Facebook, LinkedIn, Twitter, Google+, Tumblr, Quora and Pinterest. It also consumes less mobile data as it uses web compression techniques, as both the devices available with OS are 2G only. Availability: Four smartphones are currently available in the market – Alcatel Onetouch FireC, Spice Fire One, Intex Cloud FX and Zen U105 Fire. After Firefox, Jolla smartphone running Sailfish OS has entered the Indian market. Sailfish is a mobile operating system that combines the Linux kernel with mer and is written by Jolla. The user interface is based on swipes and does not need physical buttons for multitasking or switching screens. The user interface looks somewhat similar to Blackberry 10 OS that also follows a gesture based approach. The currently-running apps are revealed in a grid-styled interface that shows the whole window of the running apps. Just like Android widgets, users can communicate with them directly and can be accessed by swiping upwards on the screen. The task manager displays the opened apps in small windows that you can close by tapping the cross icon. The next scroll takes you to the app drawer. Sailfish OS has a unified messaging system. This means Facebook, SMS and WhatsApp messages can all be grouped into a single view. 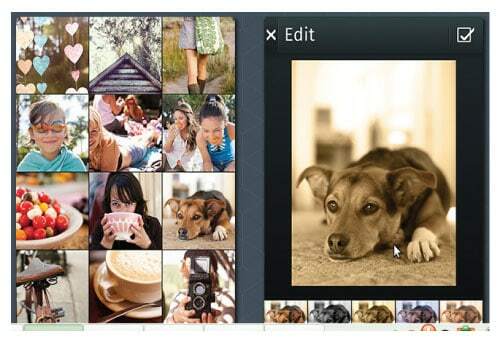 In fact, photos and contacts can also be unified with social networks that allow users to comment or like the content. The OS comes with compatibility for Android apps. It has been achieved with the use of Alien Dalvik by Myriad Group. This is a big step forward for the phone and tablet manufacturers who can immediately and effortlessly integrate their existing devices with the Sailfish OS and still have the ability to use Android software. Availability: Jolla phones are running on Sailfish OS and available in the market.